NEXTT steps in travel vision | Airlines. Coping with the increased demand for air travel necessitates the rapid development of new processes and new technologies. Passenger numbers are predicted to exceed 7 billion by 2035. In the same period, the cargo freighter fleet will grow 70% to more than 3,000 aircraft. “We not only need to serve increasing volumes, but these passengers and cargo customers are, rightly, becoming increasingly impatient and have more demanding expectations of the level of service they should receive,” explains Hemant Mistry, IATA’s Director, Global Airport Development and Fuel. Meeting these twin requirements will be incredibly difficult to achieve. IATA estimates that most of the 100 biggest airports by passenger volume need major infrastructure development in the next decade to keep pace with projected growth. Given the timelines for these projects and the relative scarcity of funding, it is unlikely that airports will expand as required within the timeframe. The solution, Mistry suggests, is to look to new technologies and processes and consider the airport in the context of an end-to-end journey. This is a complete reversal of the traditional method of shoehorning systems and processes into buildings, inevitably leading to the inefficient use of the airport and the technology. The New Experience Travel Technologies (NEXTT) program—a collaboration between IATA and Airports Council International—is an evolution of IATA’s Airport of the Future concept. NEXTT is developing a common vision to enhance the travel experience for passengers and shippers that will guide industry investments and help governments evolve a relevant, smarter regulatory framework. Success, therefore, will be defined by the provision of a forward-looking aligned approach for investment in on-ground infrastructure that promotes operational improvements and capacity growth. “Ultimately, we want to ensure those who wish and need to fly can do so and aren’t prevented by inappropriate or insufficient infrastructure at airports and on the ground,” says Carnall. A number of key airports are already supporting NEXTT, including Dubai, London Heathrow, Bangalore, Amsterdam Schiphol, and Shenzhen. At Shenzhen, for example, robots are supplying passenger information, even in English. There is an airline element to all the concepts. British Airways, KLM and Emirates are among those partnering with the airports. At Heathrow, British Airways is working with the airport on driverless tugs. Technology providers, innovators, and consultants are also expected to join the cause, as are governments. The latter will benefit from IATA’s development of the necessary standards and regulatory approvals as trials progress. A key element in enabling ground facilities to cope with huge increases in passenger numbers is moving as many processes as possible off-airport. There are virtual and physical components to this strategy. 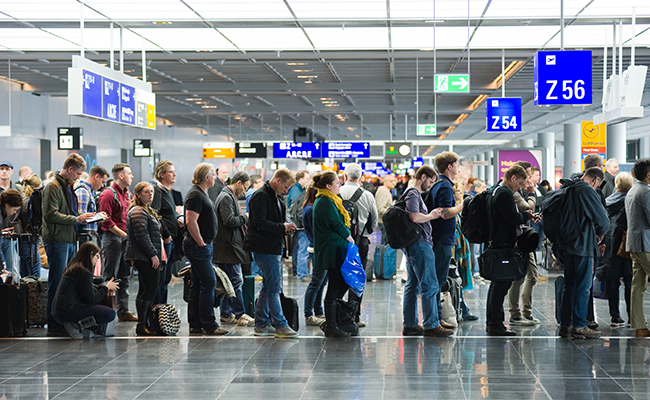 Digital processes will dominate as long as governments and authorities embrace the need to move travel authorizations and customs controls to a digital environment, from the time of booking through to arrivals. Airlines and airports also have a role to play in improving data exchanges and minimizing the need for physical document checks. On the physical infrastructure side, all ground transport modes need to conveniently connect airports to the cities they serve. 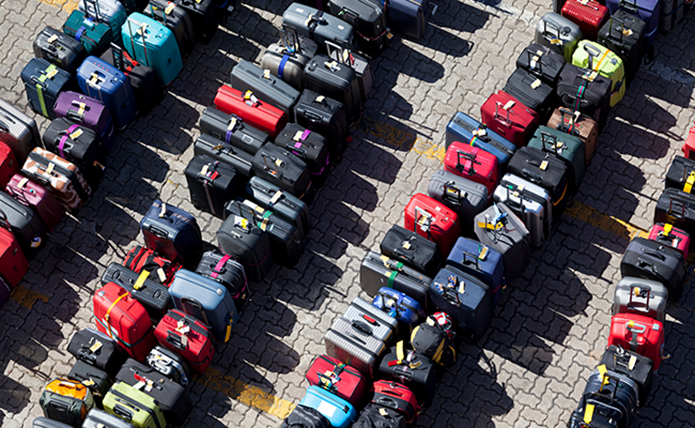 Though this is already happening to a degree, ubiquity would allow numerous, secure drop-off locations for cargo and baggage. Passengers could even commence their journey from these secure entry gates within the city, bypassing the need for processes within the terminal building. Linking the airport, in other words, is the first step toward distributing the airport. Ibbitson believes food and beverage options will continue to grow, however, with special “grab and go” services starting to emerge. A passenger’s favorite meal might be prepared by her favorite restaurant and picked up at the airport. A common data platform is vital to the success of NEXTT. Predictive modeling, artificial intelligence, and open application program interfaces are the cornerstones of handling passenger growth efficiently. Pulling everything together in a data backbone that can be accessed by authorized parties provides situational awareness and allows real-time decisions that ensure service quality and greater capacity. With various initiatives underway, the need to demonstrate industry-level solutions and determine standardization needs is already here. 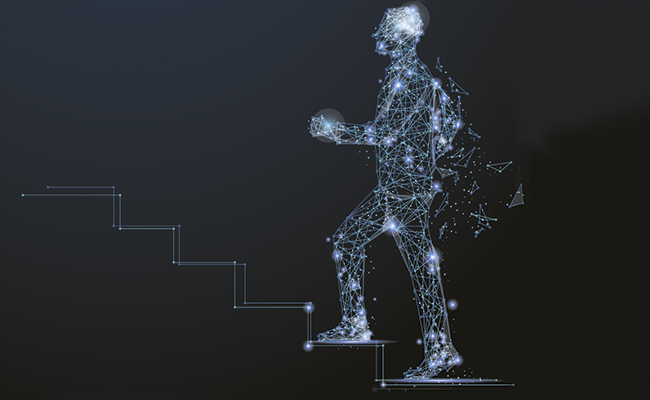 While new technology can optimize legacy processes, advanced processing requires rethinking what actions are needed or desired. Repeated identity verification is a case in point. Establishing identity at the first touchpoint should be efficient and friction-free. IATA’s One ID project is at the heart of this, capturing identity data and then using robust identity management systems to authenticate the data at subsequent touchpoints. Ibbitson points out that the wheel does not need to be reinvented or invented simultaneously in two places. He has spent time with Apple to understand where its devices are heading. “Why invest in lots of biometrics when many passengers already have their biometrics on their Apple Watch, for example?” he asks. Interactive decision-making, meanwhile, is taking huge strides forward thanks to predictive modeling and artificial intelligence that crunch real-time data far swifter than any human. Being aware of changes to a passenger’s journey or their baggage or the status of a cargo shipment will enable airport, airline, ground handler and all other stakeholders to optimize the decision-making process across the whole network. Consistent definitions and a workable interface for information-sharing are vital. As it stands, a passenger could turn to several touchpoints—staff, website, app, customer information desk—for a flight update and get several different answers. All touchpoints need to have the same information. Deploying more sophisticated real-time decision-making tools will facilitate greater choice and flexibility for customers, drive increased process efficiency and trigger compliance, security or other checks on the basis of need rather than a default. “We do not think the current concept of airport design and build will be able to best serve the future expectations of our passenger and cargo customers,” IATA’s Mistry concludes. 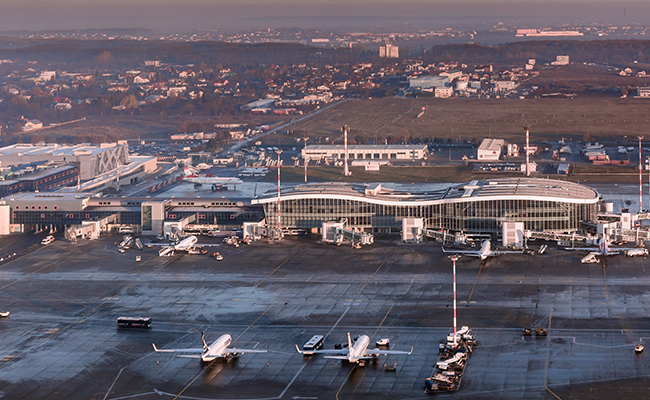 “And we are concerned that the pace of build will only lead to more slot-constrained airports. We will be at risk of not being able to cater for the projected growth in passengers and cargo. “As we see the progress and success of airport trials, understand the business decisions they make, and as other technologies become available, we shall adjust our vision,” he adds.